April 7-29, 2017, Peaks and Pints pitted 64 of Washington state’s best in a frothy head-to-head battle of the IPAs. We speak, of course, of the Tournament of Beer: Washington State IPAs. Sixty-four state IPAs were selected and seeded by the public throughout March 2017. Some IPAs fell easily by the wayside, either faltered due to a rogue yeast pitcher or simply because they faced a superior opponent. Hop by hop, the state drank its way through the first tow rounds followed by the Sweet Wort 16, the Hot Break Eight, the Final Four and today’s Championship Game between Rainy Daze Brewing’s Goat Boater IPA and Walking Man Brewing’s IPA with online voting ending at 4 p.m. then the voting will resume at 5 p.m. live at the Tournament of Beers Party at Peaks and Pints. The live vote will close at 8:30 p.m., tallied and the Washington state IPA champion will be announced at 9 p.m. 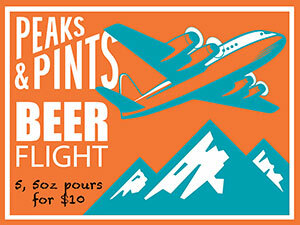 In conjunction with today’s Championship Game, Peaks and Pints offers a sample beer flight of Washington state IPAs that made it deep into the Tournament of Beer. Drop by Peaks and Pints today, vote and enjoy our Craft Beer Crosscut 4.29.17: A Flight of Tournament of Beer. 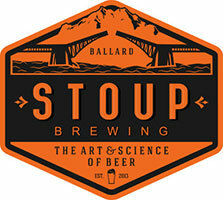 Scientist Brad Benson and foodie Lara Zahaba opened Stoup Brewing in Seattle’s Ballard neighborhood in 2013. Washington state’s first female Cicerone, Robyn Schumacher, became Stoup’s third partner, assisting Benson in the brewing room. Team Stoup believes in building beers that unroll with a distinct start, middle, and finish. This magic works especially well on their IPAs, especially the Citra IPA. Your first sniff will elicit images of tropical fruit and citrus thanks to a healthy dose of Citra hops. Next, pale malt sweetness keeps things in check with slight bitter, citrusy fruits and grapefruit. Citra IPA finishes dry with very bright, tangerine and Meyer lemon character lingering. Science! We remember it as if it was yesterday. 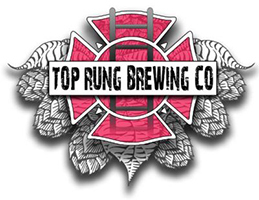 We dropped by Top Rung Brewing’s 2015 Hoptoberfest ready for some malty flavors and noble hops when we spotted its shiny, golden orange bad self. Top Rung co-founders Casey Sobol and Jason Stoltz had recently debuted their Shift Trade IPA, a 6.2% ABV shot of tropical fruits thanks to a hefty dose of Mosaic and Cascade hops. It was crisp. It was bitter. And it was all we drank. Shift Trade is easy drinking with mango, apricot, and pineapple notes and a solid, slightly toasty malt core. Talk about the talk of the town — and by town we mean the whole Northwest. We hear Silver City’s Tropic Haze discussions in barbershops. 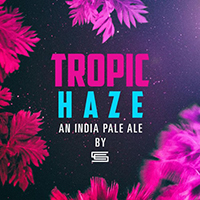 We hear Tropic Haze namedrops in the locker room. We hear hushed Haze hullabaloo in libraries. The biggest cheers for this delicious hazy IPA are within the Silver City Brewery. This beer spent some time in test tubes. Brewmaster Don “Big Hazy” Spencer opened up the secret experimental hop hope chest, brewed pilot batch after pilot batch, blind-tasted close friends and discovered a secret hop made for hazy IPAs. No, the pineapple juice, mango or orange flavors aren’t additives; it’s the hop behind the curtain. Tropical, indeed. 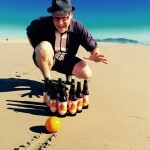 Opened 10 years ago after an argument settled over guess how many beers, Joel Vandenbrink’s outdoorsy South Seattle brewery salutes the famous trail circumnavigating Mount Rainier with this West Coast-style IPA. The Wonderland Trail IPA, voted a second seed, is a light bodied IPA complemented by 2-Row, Vienna and Munich malts while featuring a seamless blend of Washington-grown Amarillo, Citra, Mosaic and Cascade hops. It brings a slightly sweet aroma of tangerine followed by a wave of citrus and passion fruit. Hops have long defined life at B.T. Loftus Ranches in the Yakima Valley. Back in 1932, Kevin Smith and Meghann Quinn’s great-grandparents founded the family hop farm that’s now run by their older brother, Patrick. Meghann and her husband, Kevin Quinn, and younger brother were keen homebrewers. Wouldn’t it be natural to start a brewery on the farm? The trio took down three acres of the farm’s Field 41 and built Bale Breaker Brewing Company, which is surrounded by fields of hops. 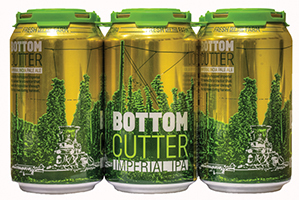 Bale Breaker’s Bottomcutter IIPA is a supremely drinkable double IPA with pine, honey, orange and grapefruit swirling around a bunch of caramel. Bonus: solid bitterness.